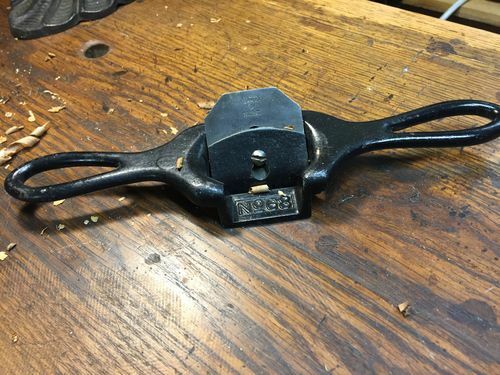 Anybody used a Stanley no. 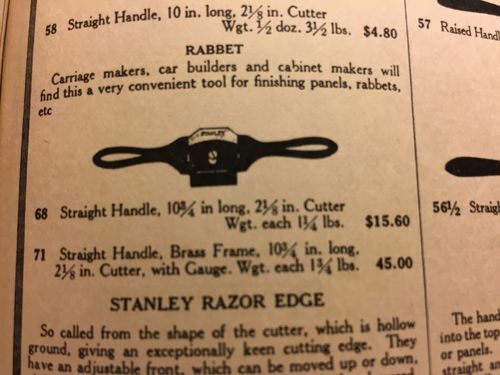 68 rabbet shave? I picked up a Stanley no. 68 “spokeshave” on eBay last week. I doubt anybody ever shaved a spoke with one, but it’s classed as a spokeshave. Have any of you used one? I have one, haven’t used it though… Watching with interest. Does yours have the blade with clipped corners on top or rounded? My blade looks just like the no. 51. All the other pictures I’ve seen are like this. I could see it being used in coachmaking. 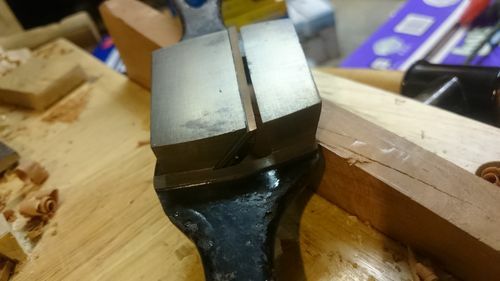 I figured if you want to make a curved rabbet/rebate, you could run the edge of the blade up against a template and follow the template. The plane will bottom out when it comes down to the top of the template. 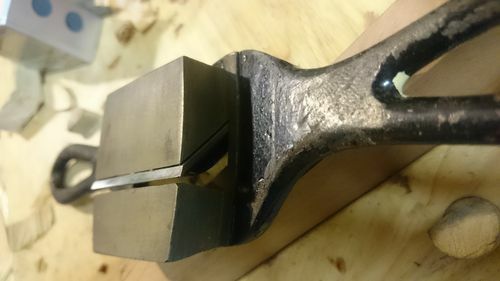 There is a machined flat there on both sides of the plane. 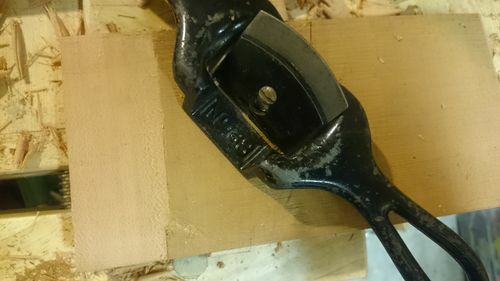 The body of the plane from the sole to the flat is 1/2 inch. The template itself becomes the depth stop. A 1/4” thick template will allow a 1/2-1/4 = 1/4 inch deep rabbet. A 1/8” thick template would allow a 3/8” deep rabbet. But the template would have to be clamped to the work in a way that the clamps don’t interfere with the handles. There’s no particularly good way to make sure the bottom of the rabbet is level. Note the #51 shave was $5.40/doz and the #68 was $15.60/doz in 1922. I’d rub its bottom. Against wood. Thanks Smithy. 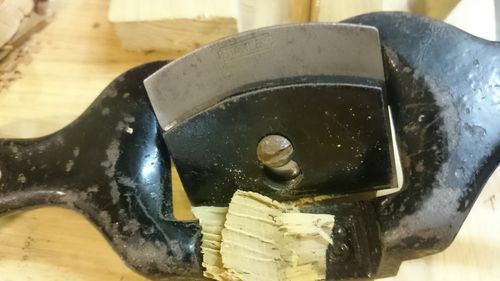 I see your blade has the clipped corners. Still nobody reports using one.